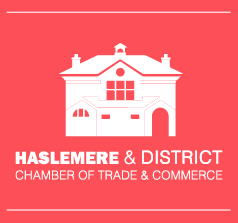 The Guide is the comprehensive directory to the local businesses and services in Haslemere and the surrounding area. It provides an accessible, affordable and effective means of targeted advertising. Delivered through the doors of over 9000 homes in the Hindhead and Haslemere areas, a listing in the guide puts your details right into the hands of your potential customers, instantly raising your profile. For residents, whether you’re new to the area or have lived here for years, there are still times when you need a local service that’s handy and reliable, that you haven’t used before, and you don’t have the time to trawl through pages on the internet. The Guide puts all these services into one, accessible, convenient place. The guide is also lists community events, charities and organisations that may be able to help you with various problems or questions and offer advice. Every edition of the guide includes interesting articles and features. Some are fun, some are informative, and all are engaging.